Tamiya Racing is a cancelled racing game that was in development for the Nintendo 64. As far as I can tell, there is absolutely ZERO information on the game out there anywhere. According to an auction for the prototype, the game is from Intermetrics, associated with Looking Glass Studios. The label has No Gamma written on on. 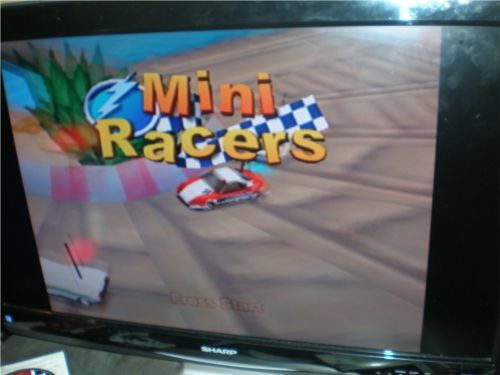 The seller also thinks it is very similar to the unreleased Mini Racers. This is from the same seller who sold the also unreleased N64 Wildwaters Extreme Kayak recently for $1,600.00. From what I understand they also have a third such proto, so we may see that at some point too. The auction finished at $1,358.33 and we hope that the winner could be able to share more videos or screens from this lost game! Hi im the founder of this page, sorry for my first time for those errors posting in this great site for cancelled and unrelased games, in kinda hope to helped a little for that, so ive found this in a site and im just kinda hope to someone for dump this cancelled.